In most places, school is out and vacation time is on the calendar. Snowbirds are returning to their cooler climes and may need your assistance when putting their treatment systems back into service. Conference season is in full swing, with a broad variety of possibilities for those looking for new prospects and new places. So what is your game plan? For many business owners, vacation is often not at the top of their to-do list, especially when so many have been clawing back from the Great Recession. We’re happy to note that their journey may be taking a turn into positive territory, if it hasn’t already. Job numbers are up, unemployment is down and consumers are looking to spend money again. And who better to educate them on the necessities and advantages of safe drinking water than water treatment specialists? With droughts, severe weather patterns and aging infrastructure dominating the news as it impacts our prized water sources, there is a great need for consumers to have the best information to make their purchasing decisions. 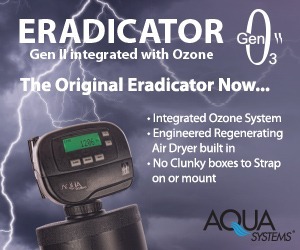 Those water treatment specialists who step up to embrace this trend are the ones who will find the most success. You are the experts: you know water and you know water problems. It’s you who can help consumers make the best decisions when confronting the need for a safe and secure water source. One of the fundamental principles of water treatment is filtration, going back thousands of years. Sand is still a useful medium and enhances other options as well. By far, carbon filtration is at the forefront of the drinking water treatment specialists’ toolbox, and well it should be. 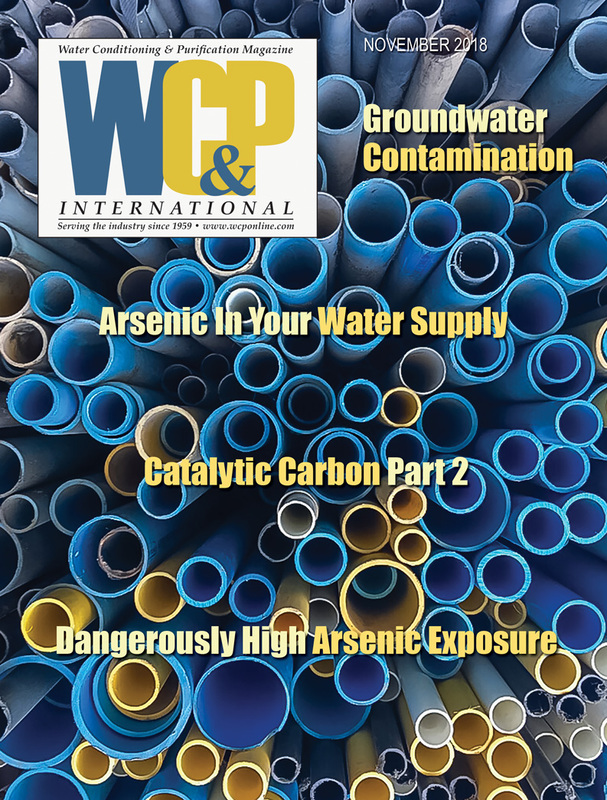 As noted in this issue by Henry Nowicki, PhD, there are a multitude of options to choose from when using activated carbon filtration. One of the most serious contaminants, arsenic, gets much press these days and there are many treatment options. Bob Brooks of Foamulations, Inc. provides insight on the most common treatments, as well as a newcomer to the arsenic-remediation toolkit. 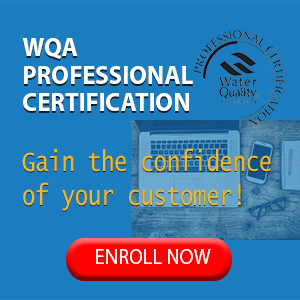 If you were fortunate enough to attend WQA Aquatech 2015 in Las Vegas, NV, last month, you probably noticed a more positive atmosphere among the vendors and exhibitors. In our recap of the event, we hope to capture not only the highlights, but the interest of everyone who considers attending the annual event. There is much to see, hear and learn, every year. Our own Dr. Kelly Reynolds is a valued presenter and this year her presentation was as well-received as ever. In this month’s On Tap column, she discusses healthcare-acquired waterborne infections and what can be done to prevent them. Hopefully, you can manage some downtime to recharge your batteries. 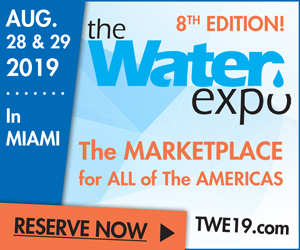 As with WQA Aquatech this year, where the relaxed atmosphere made for a more cordial and engaging event, we need to be reminded that enjoying life is as important as the quest for success. Take a day or two to sit back, relax and enjoy life so you can come back reinvigorated and ready to again take on the world. Until we meet again, let’s focus on the journey between here and there, not just the destination!